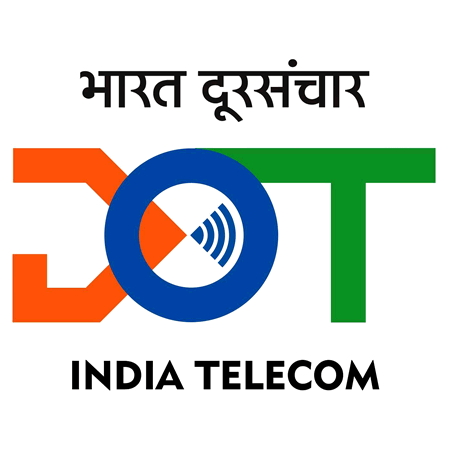 Department of Telecommunications Recruitment 2019 - Below are various recruitment notifications published by Department of Telecommunications / www.dot.gov.in. As of now, we don't have any active recruitment notification by Department of Telecommunications featured here. We may update as soon as the organization announces a new job notification. 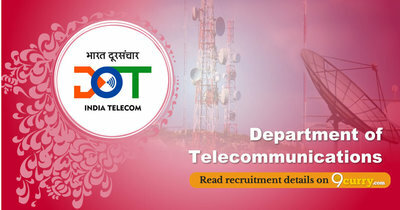 If you are looking for any information related to previously organized recruitment drives by Department of Telecommunications, you can browse through previous job notifications mentioned below and get the new updates or information you are looking for. Department of Telecommunications Recruitment 2018 - Job notification for Assistant Library & Information Officer Post in Department of Telecom, Department of Telecommunications, New Delhi. Applications are invited by Department of Telecommunications on or before 30 Jan 2019 for 1 vacancy. Department of Telecommunications Recruitment 2018 - Job notification for 25 Interns Posts in Department of Telecommunications, New Delhi. Applications are invited by Department of Telecommunications on or before 30 Nov 2018 for 25 vacancies. Department of Telecommunications Recruitment 2018 - Job notification for Steno & PA Posts in Department of Telecommunications, Bangalore, Karnataka on Deputation Basis. Applications are invited by Department of Telecommunications on or before 29 Oct 2018 til 03:00 PM for 5 vacancies. Department of Telecommunications Recruitment 2018 - Job notification for Assistant Director & Jr Telecom Officer Posts in Department of Telecommunications, Bangalore on Deputation Basis. Applications are invited by Department of Telecommunications on or before 29 Oct 2018 til 03:00 PM for 6 vacancies. Department of Telecommunications Recruitment 2018 - Job notification for 10 Advisor Posts for WB LSA & Kolkata LSA in Department of Telecommunications, Kolkata, West Bengal on Contract Basis. Applications are invited by Department of Telecommunications on or before 28 Sep 2018 for 10 vacancies. Department of Telecommunications Recruitment 2018 - Job notification for 13 AD & JTO Posts in Gujarat LSA in Department of Telecommunications, Gujarat on Deputation Basis. Applications are invited by Department of Telecommunications on or before 20 Oct 2018 for 13 vacancies. Department of Telecommunications Recruitment 2018 - Job notification for Consultants Posts in Department of Telecommunications, West Bengal on Contract Basis. Applications are invited by Department of Telecommunications on or before 19 Apr 2018 for 3 vacancies. Department of Telecommunications Recruitment 2018 - Job notification for 23 SA, AAO, LDC & Other Posts in Department of Telecommunications, Assam on Deputation Basis. Applications are invited by Department of Telecommunications on or before 30 Apr 2018 for 23 vacancies. Department of Telecommunications Recruitment 2018 - Job notification for Staff Car Driver Post in Department of Telecommunications, New Delhi on Re-employment. Applications are invited by Department of Telecommunications on or before 02 May 2018 for 5 vacancies.